Colourpop, Take All My Money! After a really long week, the only thing that can cure my mood apart from a hot drink is online shopping. More than clothes is of course makeup. 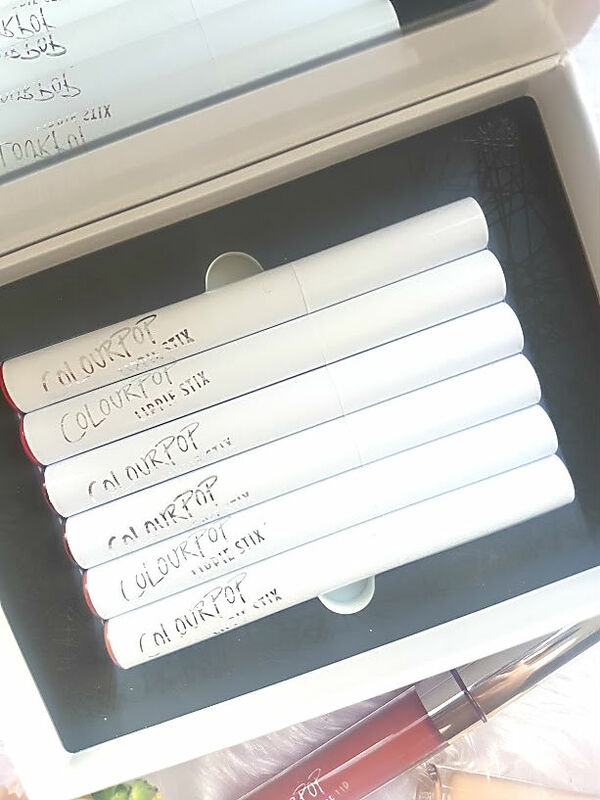 I definitely do not need anymore than I already have but Colourpop is just too hard to resist and when they have some cracking deals on, who can say no. When it comes to formula, Colourpop really do nail it in my eyes. The Lippie Sticks are one of my all time favourite formula's, when I spotted this value set reduced to $20, how could I resist? I originally had a few in my basket already but when I saw that you get six full sized ones in a set with a pretty box, how could I say no. This set in particular is no longer available but they have other value sets on their site, which are a great buy! I love the shades that are in this set, as they are all very me. From nudes to deep pinks, shades that are wearable and perfect all year round. 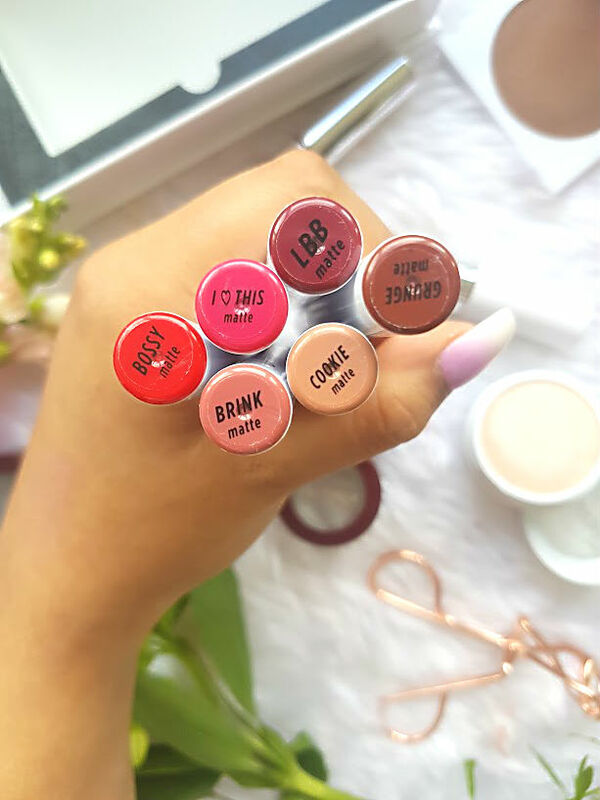 The lippie sticks apply on to the lips like butter, are very pigmented and last you almost all day. It seems to me like CP are expanding their brand to include more everyday staples and not just lip products, I saw the addition of palettes and brow products recently and soon enough there will be so much more. 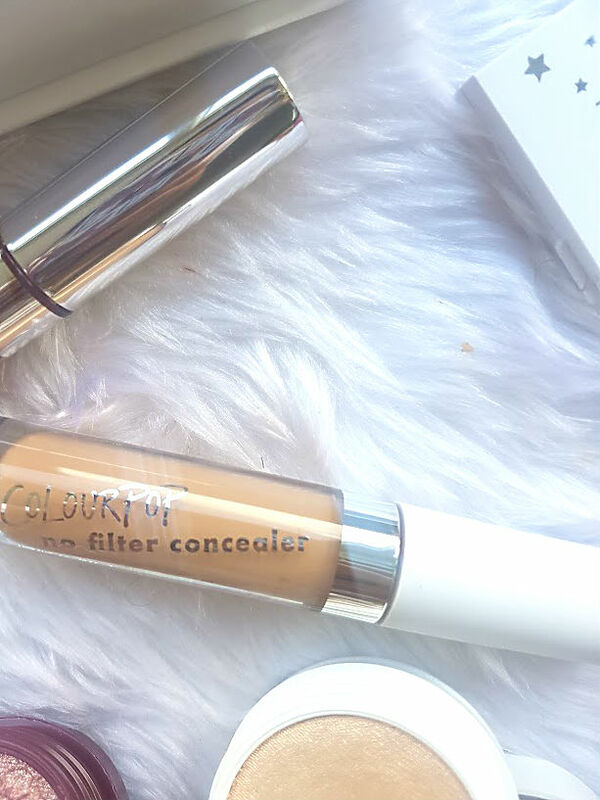 I decided to pick up the No Filter Concealer, for $6 you really can't go wrong with this cheap and cheerful product. I've heard mixed reviews around this, from some people saying they love the coverage and wear time to others finding it hard to work with and drying. So far, I haven't really given it a good go. It matches my skin really well but doesn't seem to be doing very good at covering - this might just be because of my skin at the moment being very fussy. Hoping to give it a good try again and see how it goes. For reference, I am Medium Tan 35. As a side note, never believe CP swatches, I just don't think they match the real product. Not that I needed any more highlighters, I couldn't resist picking Lunch Money up. Retailing at just $8 this is one of their best selling products and you can really see why. It has a pearl like finish too it and is so buttery, like I mean touching actual butter!! 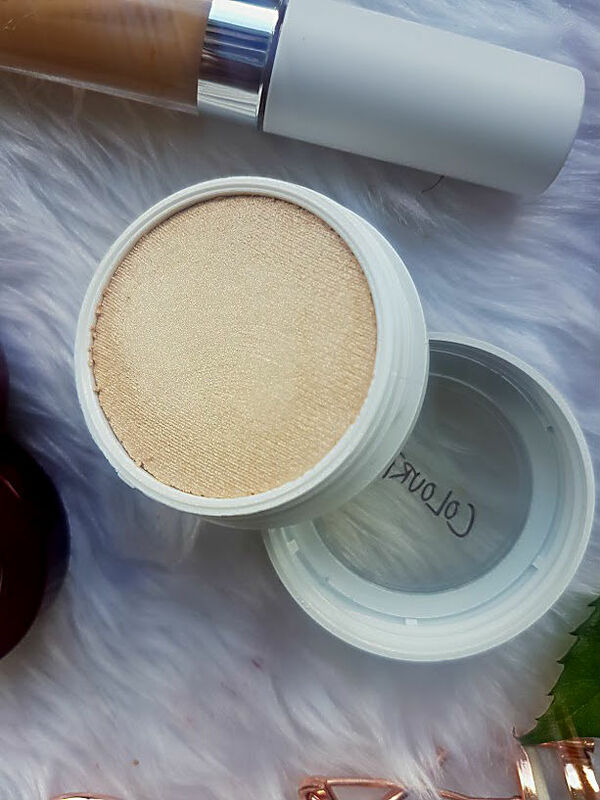 One little swipe of this on the cheeks gives me such a pretty glow that is very subtle too, great for everyday/work. I was very scared of getting products like this shipped over as last time I had a broken shadow in my parcel but this time I ordered through MyMallBox, a shipping company that looks after and packs your parcels for you. I inputted my unique address into Colourpop, this meant free shipping too as it was within the US (WINNING). I then received one email from them that my order was being shipped and delivered, within a matter of days I received one from MyMallBox telling me they have received my parcel! It was then my turn to pick my preferred shipping method to get it across the pond. I opted for DHL, as I trust them more than anyone around here - they care for your parcels and give you accurate tracking. It cost $30 but the safety of my goods meant more to me than the price. I did have to pay £15 in handling but the day I received the request to pay on Wednesday, paid on Thursday and my parcel was delivered Saturday. How fast and incredible is that?! My parcel came inside a DHL bag and then in bubble wrapping with the products inside wrapped tightly, much better than the box they send you for sure! 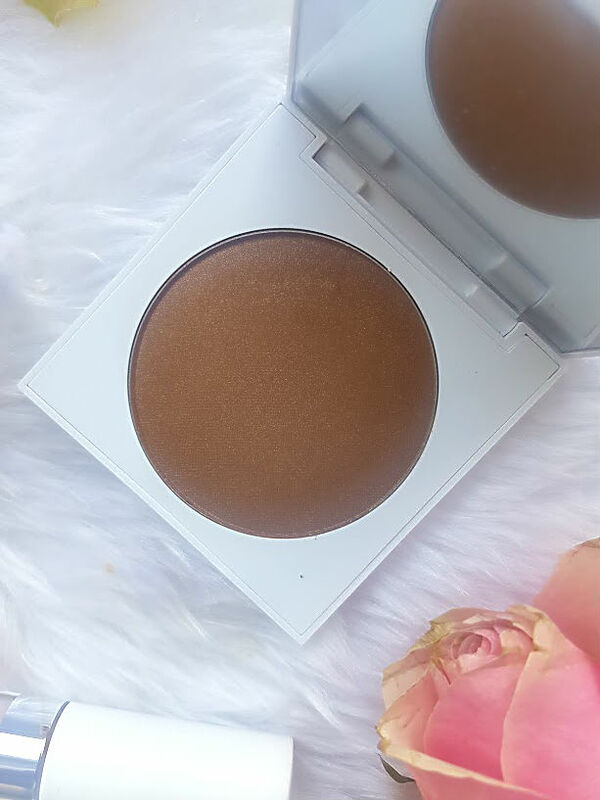 One of the other products that CP have recently launched, are bronzers. Also retailing at $8, it is a product that you really can't go wrong with. Like I mentioned before, do not believe swatches! This shade In it to Win it looked fine on the person's arm but look at how dark it is. When I apply it to the skin and blend, it isn't too bad as it blends nicely and into the skin but I was in shock when I first saw it. This isn't by any means a life changing product, it is just another bronzer with an ok formula and colour pay off. The hint of shimmer through it puts me off using it as I prefer a matte one, but I am all for giving things a go. The whole reason I made an order was because at the time CP were celebrating 5 Million instagram followers. I already had the bits above in my basket and it turned out that when you spent different amounts, you received some limited edition products to celebrate the milestone. I didn't think I would qualify for one let alone three. This meant that not only was I getting $5 off due to having an email code but also an extra 3 full sized products! I went for a Ultra Sating lip, super shock highlighter and eyes shadow. 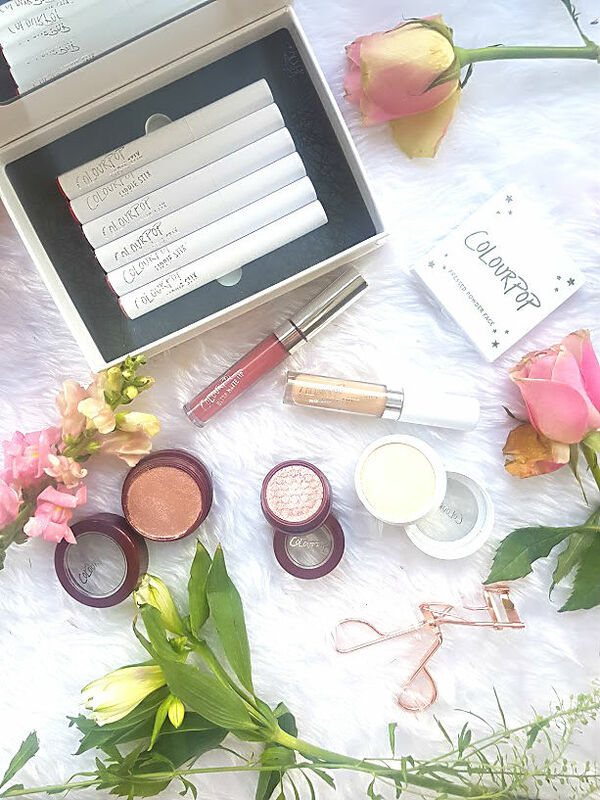 They all come in limited edition packaging and shades that relate to the number five, which is very cute, the lip colour is incredible and perfect for winter. 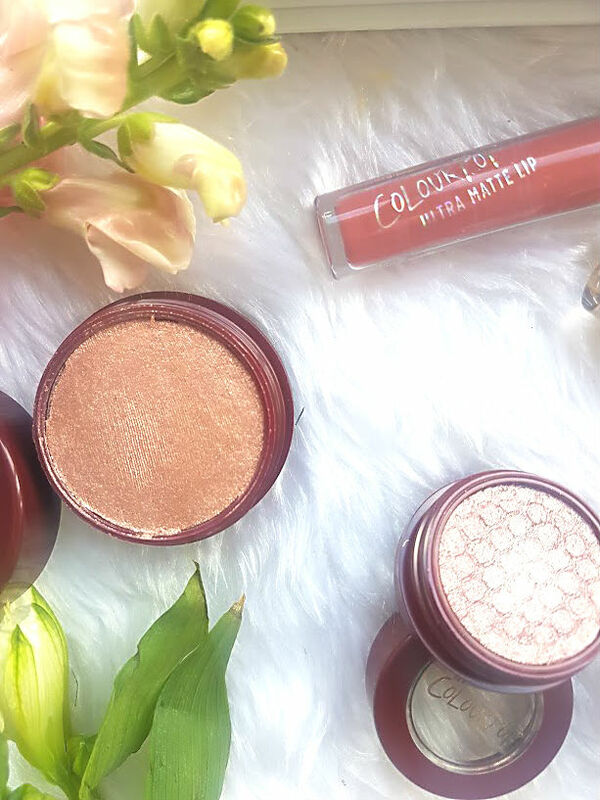 I am so happy to have more Colourpop in my life, I just wish it was more readily available in the UK. 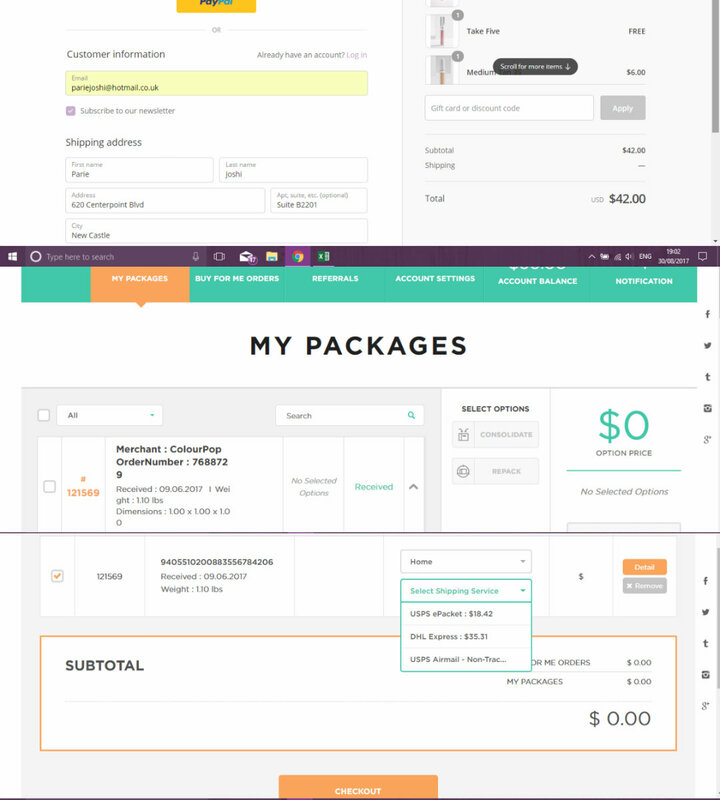 Using MyMallBox was also the best idea, it ensure my parcel got to me in one piece, everything arrived and it didn't cost me a crazy amount in fees. 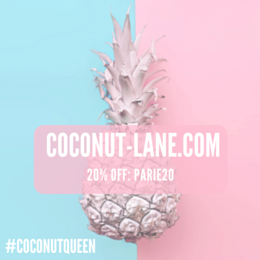 If you fancy using their service, use my link to get $5 credit!